DSV is listed on NASDAQ OMX Copenhagen, and included in the OMXC20 index as one of the 20 most actively traded shares on the Copenhagen stock exchange. 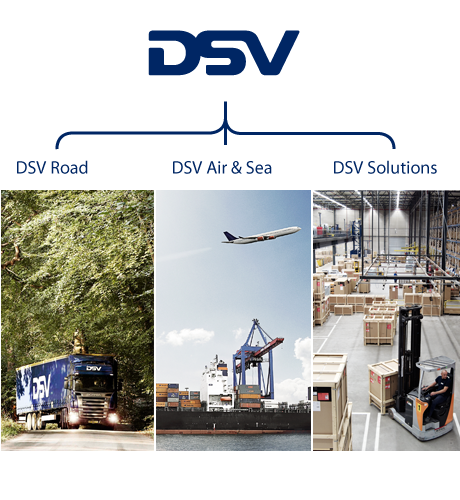 Our organisation is divided into three divisions, DSV Air & Sea, DSV Road and DSV Solutions, with their own boards. DSV A/S is the parent company. We want DSV to become a more innovative and responsive organisation by involving customers and employees in decision-making processes. Therefore DSV will develop strong and competent local managements with decision-making power to enable our customers to benefit from our efficient and excellent solutions.